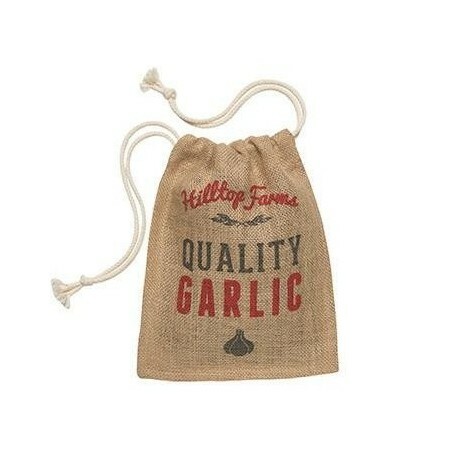 A retro hessian sack to help keep your garlic dry and last for longer. 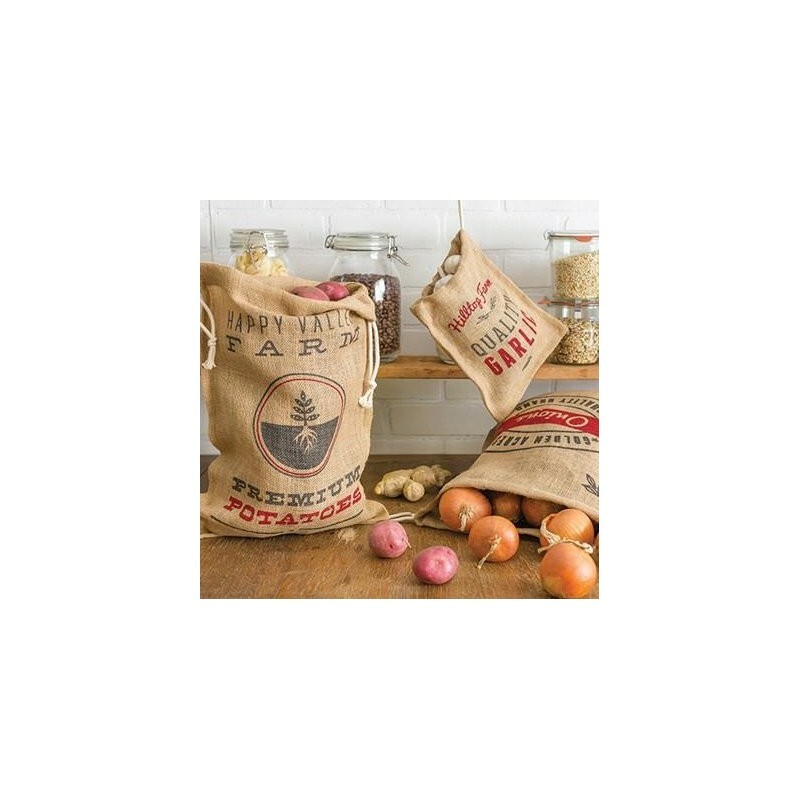 With a handy hanging loop for easy storage, these produce bags will absorb moisture and allow air flow ensuring freshness. Comes with a removable washable liner and has a vintage motif printed on both sides. One bag only. 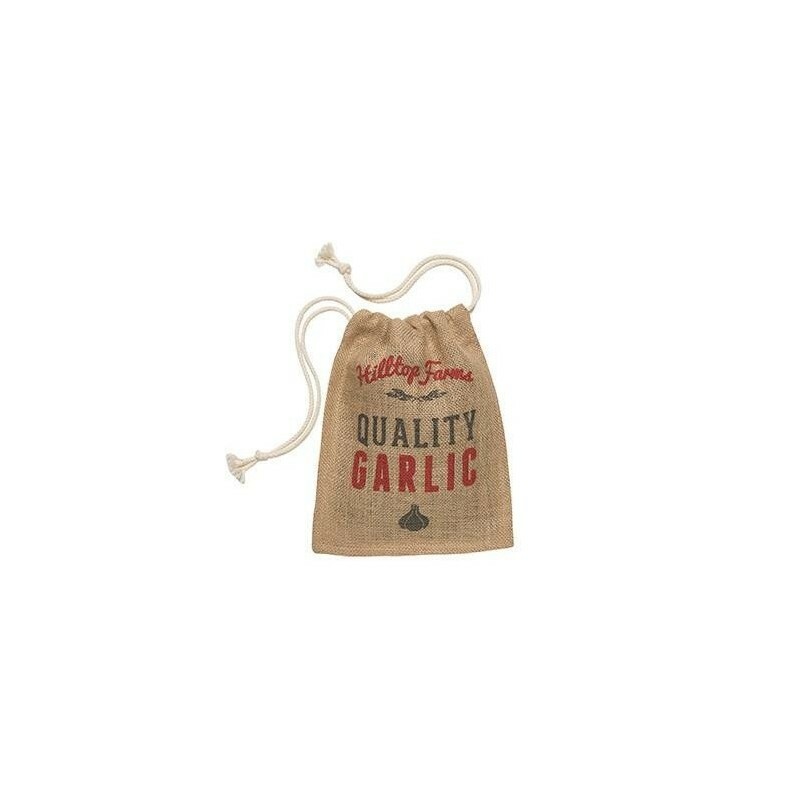 Helps keep garlic dry and fresh.